We keep hearing it: Sitting all day is killing us. And, hey, it probably is—but treadmill and standing desks require serious space and cash, and are impractical for many offices, so what are we supposed to do about it? 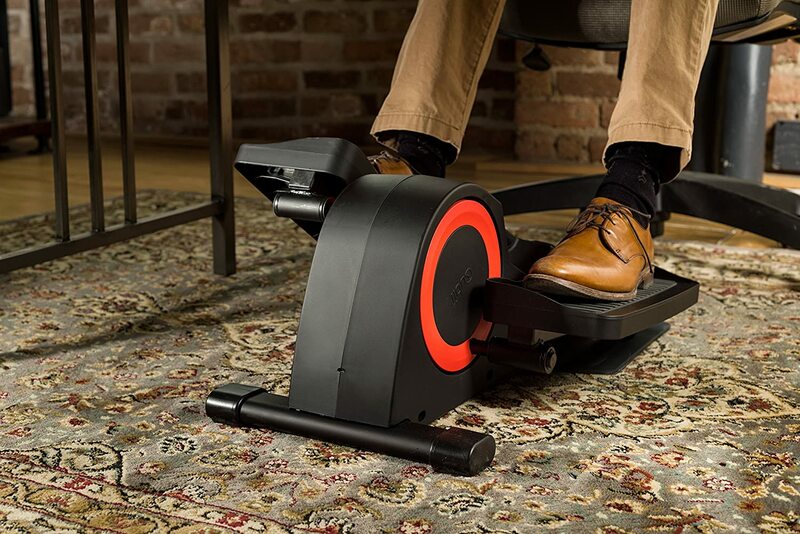 A more manageable solution: , an under-desk elliptical, which allows you to work and work out at the same time, while a companion app tracks your activity. The key is its ultralow profile and narrow range of motion, keeping all but the tallest knees from banging up against a desk. “While we designed Cubii with the office environment in mind, it’s exhilarating to see users pedal while they watch TV, eat, recover from a marathon and even knit,” says co-founder Shivani Jain. A dial lets you crank up the resistance, and the system is quiet enough not to annoy all your sluggish, seated colleagues. ‘Work Martyrs’? 4 Things You Need to Know and How to Retrain Them.